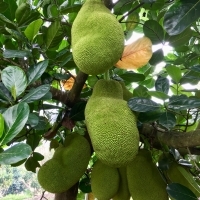 (Jackfruit) This striking tree bears some of the worlds largest fruit. 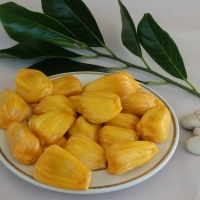 The golden-yellow flesh has a strong odour but is deliciously sweet, described by some as having a banana bubblegum taste. It is delicious eaten fresh or dried in the sun like dates. The seeds are roasted and the green fruit eaten as a vegetable in curries. Freezing the arils is a great way to preserve the abundant fruit. 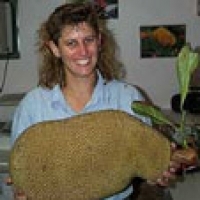 Cross pollination beneficial for bigger fruit and heavy crops. 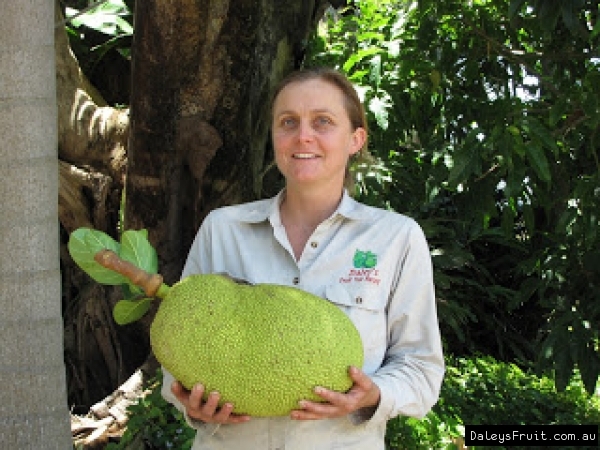 A superb Daleys Nursery selection, this variety produces small sized fruit, about 2kg, that are packed with arils. 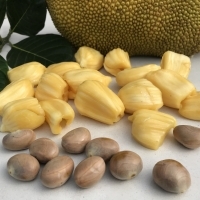 The soft flesh is rich and delicious having hints of banana, pineapple and tropical flavours. It is soft without the stringy fibers, this makes it our Daleys Nursery favourite. 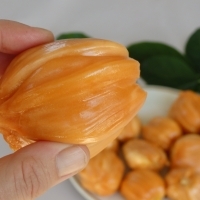 Produces small fruit 3 - 12kg with crisp flesh. Crosses well with Bosworth. Cold tolerant. 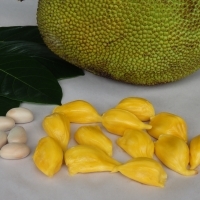 The Marang resembles both the jackfruit and the breadfruit in appearance. This stately tree is of South East Asian origin. 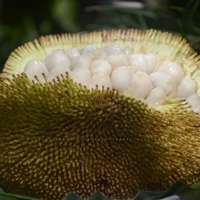 Contrasting the marang's robust aroma, the fruit is succulent and mildly flavoured, regarded as superior to both jackfruit and chempedak. 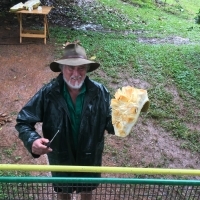 Less cold tolerant than the breadfruit it will grow only in North QLD. Not suitable for temperate climates. 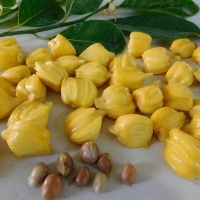 Lovely, flavoured arils that are pale yellow and have hints of vanilla. The arils are crisp and the fruit is a good size. 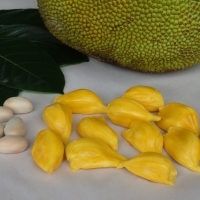 A crisp variety from Tropical Fruit World, one of their most popular varieties for eating fresh. 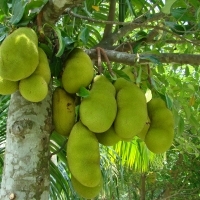 The fruits are large and fat with excellent flavour. Medium in size and even in shape, the arils are smallish, large in number and yellow in colour. Aril texture is crisp and the flavour excellent. This is a variety was selected by Fitzroy Nursery and in a tasting at a Horticultural display at Rockhampton 99% of those people who tasted it rated it as excellent. Small fruit 5 - 12kg that ripens to a light brown. Crisp variety Pollinates well with Yullaten.